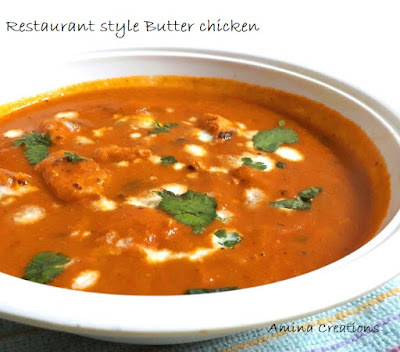 Butter chicken or Murgh makhani is a very popular chicken delicacy. Traditional recipes of this dish requires long preparation process and cooking time. I have given below a recipe of butter chicken which reduces cooking time without any compromise on taste... This recipe is not for the health conscious because it is loaded with butter and oil. Take all the ingredients of the marinade in a bowl and mix well. Add washed and cleaned chicken to this mix and allow it to marinate for an hour. Preheat the oven and grill the chicken pieces in a rottiserrie or baking tray. You can alternatey shallow fry the chicken pieces in a non stick pan. Keep ready. Now heat 3 tbsp ghee in a pan, add onion paste, cook for a couple of minutes in low flame, then add garlic and ginger paste and cook till the raw smell goes. Then add cashew paste, tomato paste and red chilli powder, garam masala powder and cook for about 10 minutes. Add some more butter, 2 tbsp cream and salt. Mix well, then add the chicken pieces, 1 cup water and cook for about 10 minutes with lid covered, till the chicken is tender. Garnish with cream and coriander leaves. 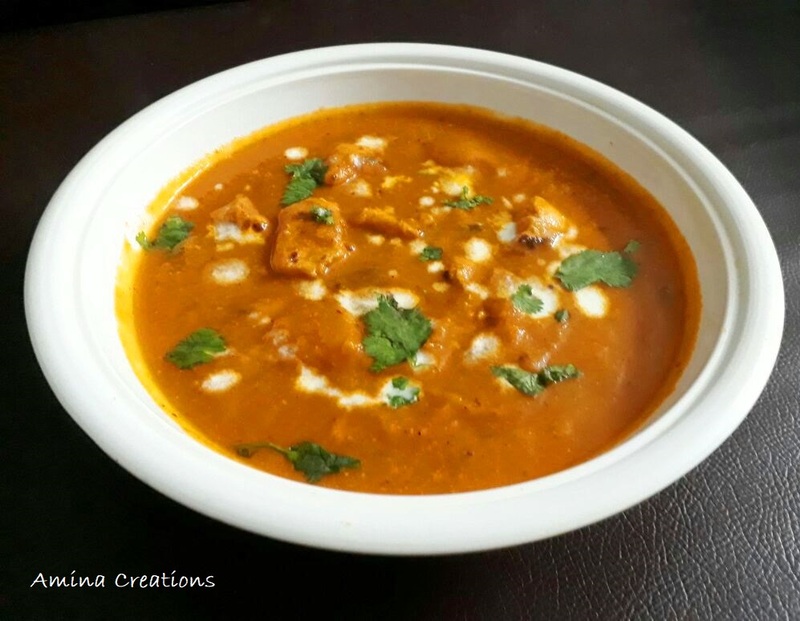 Serve hot with paratha or naan.